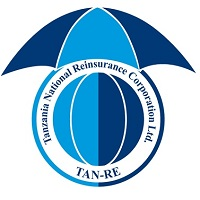 Tanzania Reinsurance Company Limited (TAN-RE) was established in line with Section 70 of the Insurance Act. No.18 of 1996.The Company was dully incorporated as a limited liability company under the Companies Ordinance CAP.212 in 2002. TAN-RE has been registered to transact reinsurance business in respect of the following classes of business: all non-life insurance business including marine and aviation business, all life assurance business including pension business. The company is now inviting suitably qualified Tanzanian candidates to fill the following positions. This position calls for a young, competent, attentive to details and qualified person of high integrity. The Assistant Accountant will report to Chief Finance and Administration Officer through Accountant - Technical. Must possess a bachelor degree or its equivalent in Accountancy from a recognized institution or Module D of NBAA or its equivalent with three (3) years relevant working experience in an insurance or reinsurance company. Possession of CPA or a Certificate in CII will be an added advantage. ➢ Performing any other relevant duties as may be assigned by seniors. Possess a Bachelor's Degree or its equivalent or Advanced Diploma in Insurance and Risk Management from a recognized institution plus ACII or its equivalent with 5 years' experience in Insurance / Reinsurance Company or should possess ACII or its equivalent with 7 years relevant experience in an insurance/reinsurance company. He/ She must be Computer literate. ➢ Preparation of renewal and new business quotation proposals. Competitive salary packages will be offered to the right candidates.